It’s summertime, which means people are trusting sunscreen to protect them from the sun during outdoor activities. But the 9th annual sunscreen guide released by the Environmental Working Group (EWG) reveals that 80 percent of 1,700 sunscreens on the market are not only ineffective, they also contain chemicals that are harmful to human health. Using a scoring system of 1-8 that measures everything from cost to toxicity, with one being the most benign and eight being the most harmful, the EWG rates the best and worst sunscreens available today. The most egregious products were nominated for EWG’s Hall of Shame. Hit the jump to find out why Neutrogena is considered the most shameful of all brands, and which products you can trust. 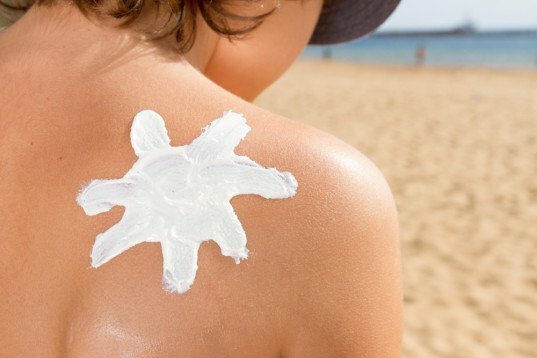 EWG found that brands claiming a sun protection factor (SPF) of higher than 50 are particularly dubious. The U.S. Food and Drug Administration (FDA) proposed to regulate such products, as Europe, Japan and Australia have done, but sunscreen manufacturers have blocked regulation since 2007, EWG reports. The group also found that products containing Retinyl palmitate, a form of Vitamin A, may exacerbate existing skin damage and trigger cancer, while Oxybenzone disrupts the hormone system. Consumers need to be especially aware of the group’s Hall of Shame, which highlights products that promise sun protection but do not deliver. And Neutrogena is the number one brand among the list that stands out. Banana Boat, Coppertone and CVS are among other brands that scored poorly. Only 21% of sunscreens, 19% of moisturizers with SPF and 21% of lip balms scored a one or two on EWG’s list, including Burt’s Bees Baby Sunscreen Stick and all six Goddess Garden products. Visit EWG for a list of the best sunscreen products on the market so you can enjoy the summer with peace of mind. Anti-science hocus pocus. Seriously, this is not a trustworthy source, when they say: "The agency [FDA] has been studying the chemical for years but hasn’t made a decision. We have. The definitive study may not have been done, but we think we know enough to believe you’re better off without sunscreens with retinyl palmitate." "Some research studies, while not conclusive..." These are the weasel words of someone with an agenda. They cite none of the referenced studies, but make outrageous claims instead that are unsupported by the body of scientists. And seriously, advocating against sunscreen that has been proven to be effective at decreasing the risk of sun damage and skin cancer is just irresponsible. It's summertime, which means people are trusting sunscreen to protect them from the sun during outdoor activities. But the 9th annual sunscreen guide released by the Environmental Working Group (EWG) reveals that 80 percent of 1,700 sunscreens on the market are not only ineffective, they also contain chemicals that are harmful to human health. Using a scoring system of 1-8 that measures everything from cost to toxicity, with one being the most benign and eight being the most harmful, the EWG rates the best and worst sunscreens available today. The most egregious products were nominated for EWG's Hall of Shame. Hit the jump to find out why Neutrogena is considered the most shameful of all brands, and which products you can trust.